Chuck’s personal passion is surfing. Every year, he travels to Central America to surf the warm, ocean waves on his longboard. A common conception is that surfing is an athletic pursuit. The truth is, surfing has a deeper meaning to Chuck. Floating in the vast ocean and riding a perfect wave puts our small, fragile place in the world in perspective. 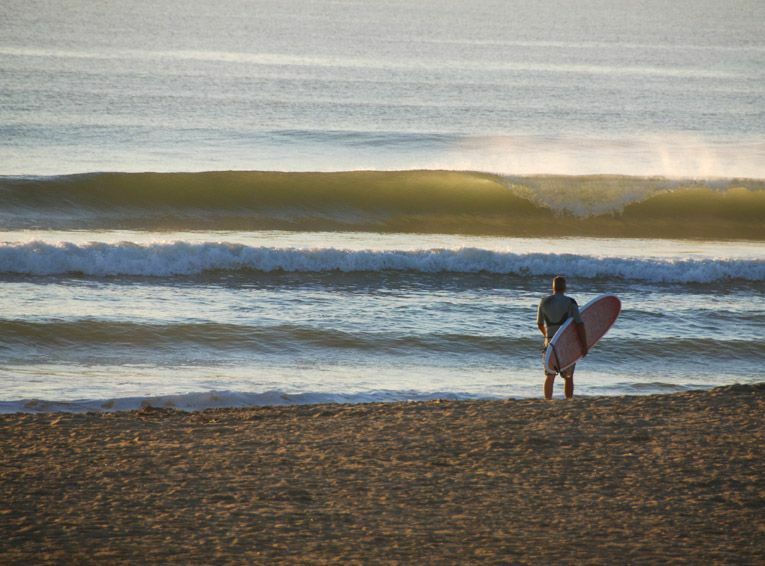 The true spirit of surfing is about being in harmony with nature, and with oneself. The ocean provides a rich metaphor on life for those willing to take notice. Chuck watching the waves at Virginia Beach, VA.